There’s an excitement that stirs inside me at the surprise appearance of a mountain of manure. It’s an emotion, I admit, I would not have had before I owned an allotment. Those words actually left my lips as we turned into the allotments this afternoon. Unlike the free wood chips delivered on a regular basis to the plot, I don’t know where the manure comes from. It appears in its steaming gloriousness around this time every year – like magic. It’s a first come first served opportunity and despite my views on allotment holders taking a plot vacation in winter – it does mean I usually get a decent helping of the black gold. It’s relatively fresh stuff, but as it comes free its not something I quibble. Last year I spread it on a bed and left it to do it’s own thing – after a month or so I dug it in and when the spring came the soil was a pleasure to stick a spade into. I’ve also realised that forking this into a wheelbarrow for any length of time is a sure way to clear the blocked nostrils of a winter cold. My word – it’s potent! The temperatures plumeted over the course of the week. I’m not complaining as it is the first hard frosts of the season. Ava and I arrived at the allotment late morning and the frost still lingered in the shaded areas of the plot. The air was cold and fresh and there was a beautiful clear sky. A great day for digging. As the established half of the allotment is now back in shape, I made a start on digging the uncultivated half of the plot and very excited I am about doing it too. It’s wonderful to be digging new beds in early winter as I hope a few might be ready come the spring. Ava had her heart set on a spot of digging too and she gleefully turned some soil over on one of the exisiting large beds. It’s great that she wants to get stuck in and we celebrated the good dig with a break and a nice hot cup of tea. I love that Ava maintains her enthusiasm for the allotment – even in the cold days of winter. The plot keeps moving forward and I hope the weather remains kind over the course of the winter and we can establish a few more beds ready for all the veg we hope to grow next year. 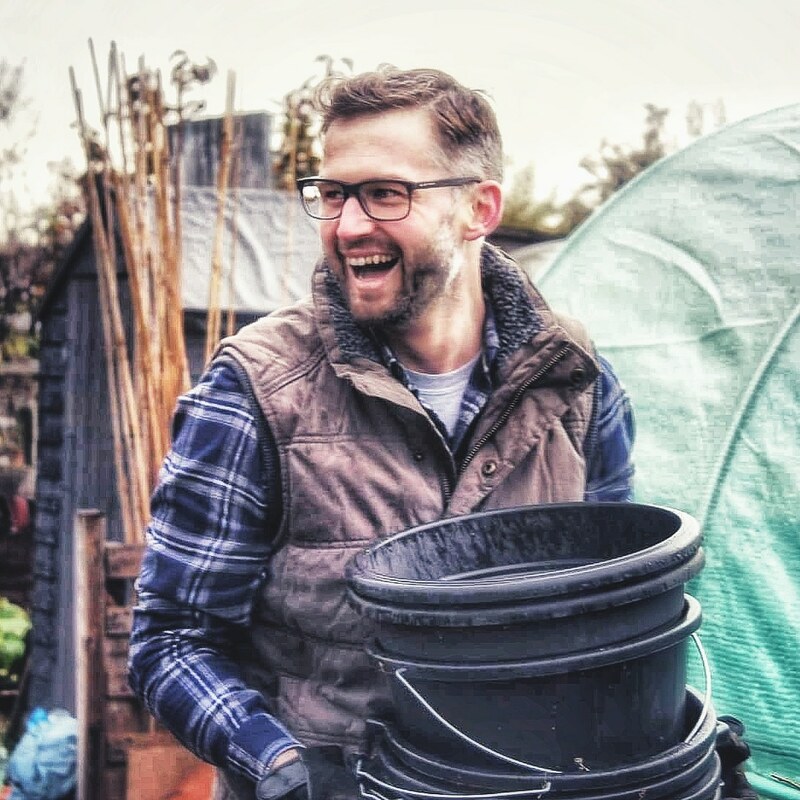 If you havent already, take a look at my article on why winter is a winning time on the allotment. How is your allotment or kitchen gardening coming along? I’d love to hear from you. Drop me a comment below or connect with me on Twitter, Facebook, Instagram and Pinterest.